The brain is more complex than any computer ever invented. It is the central operator of every part of you; nothing (well, almost nothing) happens without starting first in the brain. So it makes sense that my life coaching is so brain-oriented. Call it the hypnotist in me, but it doesn’t make sense to start anywhere else. 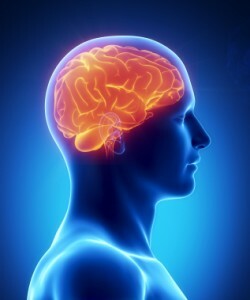 While some life-coaches like to start you on an exercise program or a new technique, or to refer you to a whole bunch of other consultants, I like to start very simply with your brain. I find the mental habits you have that are restraining you from progress. I might decide hypnosis is necessary to fix certain problems, but I can also determine that hypnosis is not necessary. I have people who come to me for hypnosis alone, hypnosis and life-coaching, or just life-coaching. But no matter where you land on that spectrum, all my therapy starts with the brain — and nowhere else. Call my office at 212-599-3195. This entry was posted in hypnosis nyc, Life Coach, life coach new york and tagged nyc life coaching by Dr. Errol Gluck. Bookmark the permalink.